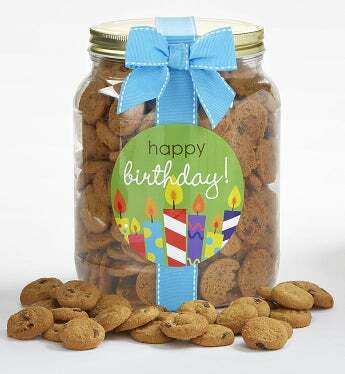 Make someone feel special on their big day with this delightful Birthday Cookie Jar! Filled with the tastiest mini-chocolate chip cookies they'll ever eat and bottled in a reseal-able plastic jar tied with a bright blue ribbon! Choose from the medium quart jar or the large half gallon jar.